126 species were recorded this year, a very good total and an improvement on 2009. The site was visited on almost every day, and in comparison to last year there were more early morning visits paid during the autumn. Several half-expected species did not make the list such as Turtle Dove (Tourterelle des bois) and Marsh Warbler (Rousserolle verderolle) and it was a rather poor year for waders with no reports of either Common Sandpiper (Chevalier guignette) or Green Sandpipier (Chevalier cul-blanc). During the spring and autumn a total of 230 observer hours were spent "skywatching" from the Cascade. 131 larger raptors were observed migrating over the park (30% fewer than in 2009). Two new species were recorded this year, both involving escaped cage-birds: Zebra Finch (Pinson mandarin) and Red Munia (Bengali rouge) were both observed on two occasions. Recorded occasionally in small numbers in winter. Larger numbers of migrants noted in early spring and (especially) autumn. Absent in late spring and summer. Less regularly noted in spring in comparison with 2009; the maximum daily count was of 64 birds on 5th April [LS/PR/DT]. First reported in autumn (13 birds) on 28th August [DT]. Most were reported during October with a daily maximum of 259 on 9th October [DT]. A single bird observed at the Mare Perchée irregularly throughout the year although there were apparently no reports in February, May or July. Most frequently noted on site in the early mornings in August and early September. Sadly last year's confiding individual suffered in the extreme weather at the beginning of the year and was found dead on the 4th February [RP]. 1-2 birds occasionally noted apparently migrating on skywatches: in spring 1-2 birds noted on 5 dates between 5th March - 26th April. In autumn noted on 3 dates between 29th September - 17th October. 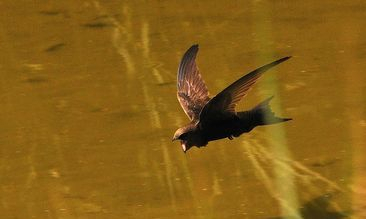 Observed migrating over the park on 3 dates; in winter, early spring and autumn. 2, 31st January [LS/DT] - 5, 25th February [DT] - 8, 12th September [PR/DT]. 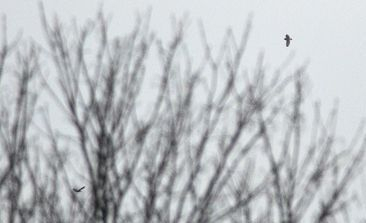 The observation was of 2 small groups (of 4 and 5 individuals) flying south in the late afternoon. Observed on 6 dates - 3 in early spring and 3 in late autumn. Observed flying overhead on 5 dates. Small numbers seen irregularly throughout the year. A pair bred successfully at the Mare Perchée for the second consecutive year. First reported on 7th February (one day later than in 2009 !) and up to 6 birds noted daily thereafter until 21st May. Breeding confirmed with the appearance of 8 ducklings on 28th May although 3 of them were to be lost over the course of the next 8 days. The remaining 5 were to be seen daily up until 6th August, usually in the close company of the adult female. Thereafter just one juvenile remained until the end of the month, the bird appearing to be in good health, albeit with a very slightly deformed bill and apparently unable to fly. The species was absent in September although up to 6 birds were occasionally noted in flight during the last 3 months of the year. 2 flying south on 14th November [PR]. A good year : recorded on 5 dates (3 in spring and 2 in autumn). See Appendix I & II. Observed migrating over the park on 3 dates in autumn. Observed on 4 dates (3 in spring and 1 in autumn). Recorded more often and in greater numbers than in 2009. Observed on 17 dates (4 in spring and 13 in autumn). At least 51 birds were involved. 1, 21st August [SC/DT] - 4, 28th August [DT] - 1, 31st August [DT] - 2, 5th September [LS] - 1, 11th September [PR/DT] - 10, 12th September [PR/DT] - 4, 17th September [PR] - 1, 18th September [PR/DT] - 2, 25th September [SC/KH/PV/PR/LS/AT/DT] - 2, 30th September [PR] - 13, 7th October [PR] - 4, 9th October [DT] - 2, 10th October [SC/DT]. Recorded on 4 dates (1 in spring, 3 in autumn). 1 migrating south on 29th August [DT]. Lower numbers than usual (-58% on 2009) and inexplicably absent in spring. Recorded flying over the park on 19 dates, the vast majority in autumn. In late August one or two birds sometimes noted wandering around the area, in stark contrast to pernis apivorus which was migrating much more purposefully at this time. At least 30 individuals were involved. A rather disappointing year with 64% fewer reported than in 2009. Although the situation in spring was identical to last year (reported on 3 dates) the reduced numbers were notable in autumn with just 7 birds observed on 6 dates. At least 14 individuals were involved. Unidentified larger raptors reported on 9 dates. 13 individuals were were involved (2 in spring and 11 in autumn). Regularly recorded (usually 1-3 individuals) throughout the year. Breeding confirmed for a fourth consecutive year in the woodland bordering the Parc Mabille with begging calls from juveniles heard in this area at the end of July and early August (as was the case in 2007-2009). Juveniles (2 birds) noted for the first time on 22nd July [DT]. Breeding in the immediate vicinity of the park, 1-3 birds (usually 1) noted almost daily. Up to 3 birds noted occasionally in spring, summer and autumn. Almost absent during the summer (as was the case last year) with just 2 sightings between 22nd May - 21st August. First recorded in spring on 25th April [DT] - last autumn sighting 7th October [PR]. The now regular presence of 2 birds at the nearby Porte d'Ivry (94) has made the species less of a rarity. 1-2 birds noted on 7 dates in spring. 1 observation in winter. 1 record in late autumn. 1 migrating south on 14th November [PR]. 1 adult male on 22nd April [PR]. 1 observation in early spring. A familiar resident breeding species with 1-8 birds seen daily throughout the year. Breeding was more successful this year with 2 pairs rearing young in two broods at the Mare Perchée. Copulation there noted in the early morning of 10th April [DT]. Chicks (2) observed for the first time on 2nd May [DT] and 4 were noted there on 13th May [PD]. However by the 20th May each pair was considered to have just one chick [DT]. A rather more successful second brood with 6 chicks noted at the Mare Perchée at the end of June. A maximum of 8 birds (2 adults with juveniles) was noted on 12th November [DT]. It is highly probable that a healthy population of rats at the Mare Perchée is responsible for the loss of several very young birds. Observed flying high over the park, always in small flocks. Recorded on 2 dates (1 in late autumn and 1 in winter). 2, 21st October [PR] - 10, 19th December [DT]. 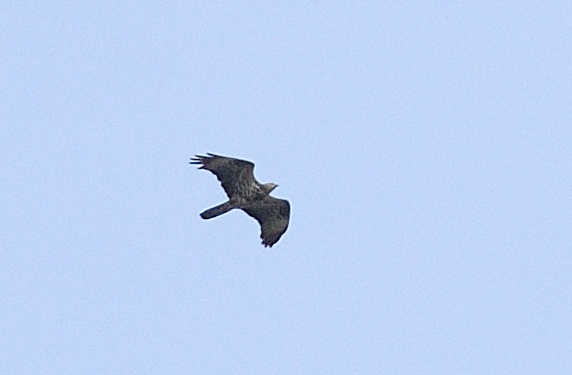 Seen flying over the park, almost always in flocks, on 10 dates (3 in spring, 7 in autumn/early winter). 375, 21st February [DT] - 65, 27th February [DT] - 80, 26th March [PR]. 30, 24th October [PR/DT] - 274, 31st October [PR/DT] - 394, 1st November [PR/DT] - 6, 16th November [PR] - 148, 20th November [PR] - 549, 9th December [PR] - 80, 18th December [DT]. Observed on 4 dates (3 in winter and 1 in early spring). 1, 7th January [PR] - 1, 8th January [PR] - 1, 22nd March [DT] - 1, 4th December [DT]. 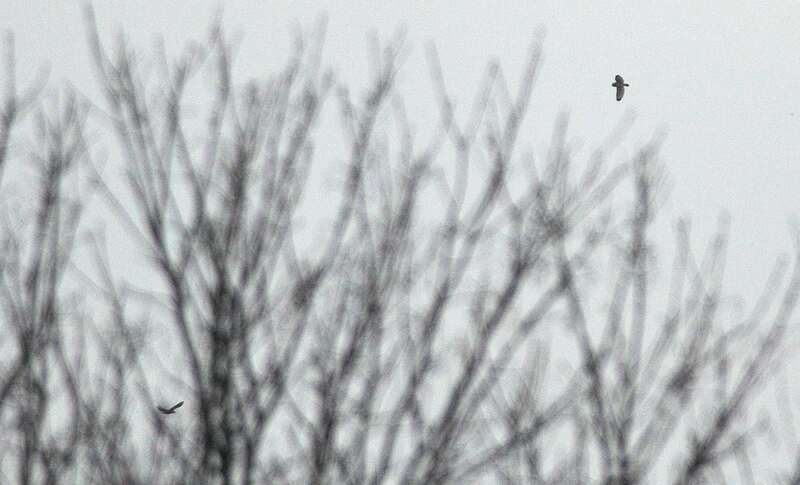 Low numbers (generally 1-10 birds) observed flying over the park fairly regularly in winter, early spring and autumn. Almost absent in late spring and early summer (May-July). Larger numbers sometimes noted; ex: 34, 2nd January [DT] - 80+, 21st February [DT] - 42, 5th December [PR]. In identical fashion to the last two years a lone individual could be seen swooping low around the Mare Perchée in late autumn, occasionally landing on site. Rather uncommon in all seasons - small numbers noted on 7 dates. 1, 21st February [DT] - 1, 4th April [PR] - 2, 27th July [PR] - 5, 9th October [DT] - 1, 31st October [DT] - 1, 5th December [PR] - 1, 19th December [PR/DT]. Regularly recorded in small numbers (usually 1-2 birds) in winter, spring and autumn. Slightly larger numbers sometimes reported during the winter months (eg, 19, 5th December [PR]). It was very unusual to see l.argentatus showing a keen interest in the park on two occasions during the spring when at least two individuals were observed circling low around the Mare Perchée, almost landing on site (11th April and 1st May [PR/DT]). Observed far less frequently than the preceding species (just 3 dates). 1, 3rd January [PR] - 1, 25th September [DT] - 3, 17th October [SC/PR/DT]. Not uncommon - reported in small numbers in winter, spring and autumn. In early spring (mid-February - mid-March) appeared to be the only large gull moving north in any numbers (ex: 23, 14th February - 17, 14th March [DT]). Higher numbers noted during hard weather in early December (ex: 32 south on 9th December [PR]). Unidentified larger gulls regularly noted in small numbers in winter, spring and autumn. Occasionally larger groups noted ( ex: 19 on 9th December [PR] ). 4 flying north on 15th April [PR/DT]. Common resident - seen daily. A reasonably common non-breeding resident. Observed fairly regularly flying over the park throughout the year in low numbers (usually 1-3 birds). Up to 6 birds observed perched on buildings to the north-east (and outside) of the park where breeding is suspected. Occasionally considered to be migrating in spring with small numbers (flocks of up to 11 birds) noted between 1st April - 8th May [PR/DT]. Common breeding resident - seen daily. Small numbers on site supplemented by local movements of birds flying over the park in diverse directions; these sometimes involve large numbers (ex; 812 moving northwest in 2 hours during the afternoon of 21st February [DT]). After breeding groups containing both adults and juveniles noted regularly on the lawns in the early mornings from early June. Such gatherings more important later in autumn (ex; 170, 11th September [DT - 200, 16th October [DT]). Migrating flocks noted occasionally in late autumn (24th October - 16th November) with a maximum of 147 south on 31st October [PR/DT]. 1-2 birds regularly observed in flight or (rarely) perched in trees at the Mare Perchée or the re-cycling plant. A bonded pair in evidence as early as 3rd January [DT]. Breeding attempt confirmed for the first time inside the park with nest construction inside dense foliage atop a tree alongside the Route des Sentiers (29th April [DT]). Observed on the ground and collecting nest material on 7th June [DT]. There was no evidence to suggest that breeding was successful. Uncommon passage migrant. A particularly good year with observations on 4 dates (3 in spring and 1 in autumn). 1, 14th April [DT] - 1 heard singing, 25th April [YC] - 2, 29th April [PR]. An interesting year: heard (calls) inside the park for the first time at daybreak on 14th May [DT]. Heard calling almost daily at around 05h00 during the last two weeks of August [YC] and the first week of September [DT]. Heard calling in early December; an individual observed at length and at close range on 29th December [YC]. 1 flying south on 24th March [LS]. A common summer visitor, seen daily. First recorded on 17th April [AB/PR/DT]. Although small numbers (presumably migrants) were noted in mid-April the local populations appeared to have finally arrived in force by 29th April [PR]. Fewer birds in evidence compared to 2009 - only around 25 birds noted daily in May, with higher counts in June (roughly 100 daily). Numbers swollen by juveniles during July when 150-200 birds seen daily throughout the month (rather fewer than in 2009). Local populations appeared to have left by the beginning of August; at this time up to 200 birds were noted migrating overhead during skywatches (3rd August [SC/PR/DT]). Very few reported after mid-August. The last sighting (a singleton) was on 11th September [PR/DT]. Reasonably common non-breeding species. Single birds and/or small flocks of up to 12 birds seen irregularly throughout the year flying noisily over the park, usually towards the northeast. Apparently absent in January, February and in early summer (June-July). Noted daily in early August. Birds were observed perching on site on two occasions: 1, 2nd August [PR] and 2, 21st October [PR]. 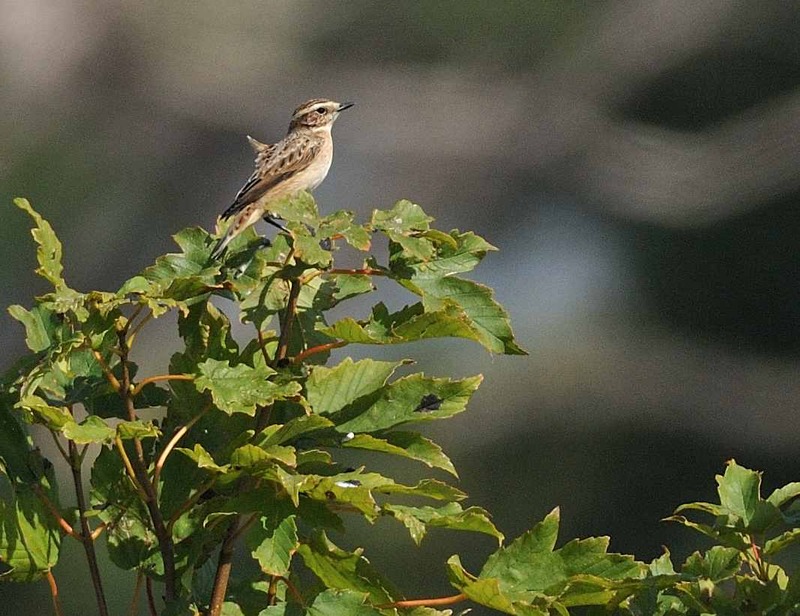 A single bird observed in autumn. One of the more extraordinary events of the year: the bird flew towards the southwest, calling and circling briefly over the Savanna en route. At least one resident breeding pair in or around the park - seen or heard almost daily throughout the year. At least 1 juvenile noted during the late summer and autumn (first appearing in the park on 17th July [DT]). 1, 4th August [DT] - 1, 9th August [PR] - 1, 15th October [PR]. A rather discreet resident, presumed breeding. As in previous years relatively few records and extremely discreet in spring and summer (not observed between 23rd March - 6th August). Rare migrant. 1 record in spring. Usually a common passage migrant in spring and autumn this was a rather disturbing year. Inexplicably absent in spring with just 2 individuals observed in almost 73 hours of skywatching in the 3 months February-April (2, 11th April [PR/DT]). Small numbers (either singles or small flocks) noted in autumn between 17th September [PR] and 16th November [PR]. Numbers significantly lower than in previous years: for the period October-November, 162 birds noted during 65 observer hours (an average of 2.50 per hour). In comparison, the same period in 2009 saw 433 individuals for 60 hours skywatching (an average of 7.25 per hour). Observed in winter during unusually hard, snowy weather on 19th December when at least 150 birds were observed flying west and southwest in small flocks [PR/DT]. A regular but rather uncommon passage migrant. Recorded only in autumn with small flocks flying overhead between 6th October ? 7th November. 14, 6th October [PR] - 3, 7th October [PR] - 4, 9th October [DT] - 6, 23rd October [DT] - 1, 25th October [PR] - 7, 29th October [PR] - 1, 31st October [DT] - 8, 7th November [DG/MD/PR/DT]. The 7 birds on 29th October obligingly landed on site. Fairly regular passage migrant in small numbers (usually 1-2 birds noted) - observed less frequently than in 2009. None was seen in summer (June-July). First recorded in spring on 1st April [PR]. Noted on 5 further dates up to and including 22nd May. Just 3 reports in autumn (up to 4 birds on 3 dates in August). Last reported on 28th August [DT]. Common passage migrant in spring and autumn. Present in low numbers throughout the summer (breeding in near vicinity). First recorded in spring on 21st March [PR/DT]. 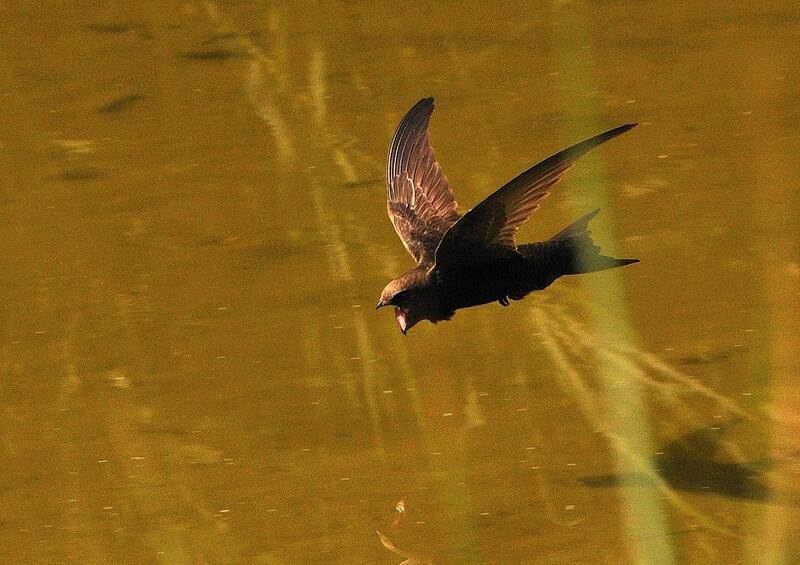 Spring migrants noted in small numbers almost daily up to 21st May with a peak of 20 on 5th April [PR/LS/DT]. Autumn migrants noted regularly from 25th July - 9th October with a maximum of 130 on 30th September [PR]. Last reported in autumn on 29th October [PR]. Passage migrant in spring and autumn. Small numbers noted irregularly throughout the summer. First recorded on 5th April [DT]. Last sighting on 6th October [PR]. Few noted migrating north in spring with 1-8 birds on just 4 dates to 21st May. Almost absent in summer (June-July). Low numbers reported during autumn migration between 7th August - 6th October. The highest daily total was 71 moving south on 6th October [PR]. A fairly common passage migrant in spring and (especially) autumn. First recorded in spring on 10th March [DT]. Up to 19 birds subsequently seen regularly up to and including 8th May. Absent during the summer (9th May-11th September). First reported in autumn on 12th September [DT]. Small numbers almost daily throughout the autumn with a peak of 48 on 6th October [PR]. Last autumn sighting on 7th November [PR]. Reasonably common passage migrant in spring and autumn. First recorded in spring on 29th March [DT]. 1-3 birds seen fairly regularly up to and including 19th May. First reported in autumn on 19th August [DT] ? small numbers seen thereafter up to and including 8th October. An exceptionally late individual was present on site on 23rd and 24th October [PH/DT]. Uncommon migrant. 3 observations (2 in spring and 1 in autumn). 1, 6th March [SC] - 1, 19th March [PR] - 1, 17th October [PR]. Small numbers reported on 13 dates in autumn between 24th September - 3rd November with a maximum daily total of 70 on 6th October [PR/DT]. Passage migrant noted in spring and autumn. First reported in spring on 9th April [DT]. 1-4 birds noted on 14 further dates up to and including 14th May. First reported in autumn on 9th August [DT]. Up to 12 birds noted on 10 further dates up to and including 11th September. A rather uncommon and irregular non-breeding resident and passage migrant. As was the case in 2008 and 2009 almost absent during the first half of the year with just 3 records in March - singles on 3rd, 18th and 22nd [DT]. During latter half of year up to 8 birds noted on 11 dates (sometimes in active migration) between 16th September - 31st October [PR/DT]. Apparently the migrants noted in late September coincided with exceptionally high numbers on the northern coast in Pas de Calais (Laurent Spanneut, pers. comm). Very rare passage migrant. 1 observation in spring. This was the fourth record for Beaumonts, and the first in spring. Common breeding resident - usually 1-4 birds seen or heard daily throughout the year. Common breeding resident - 1-4 birds seen almost daily. As in previous years up to 8 birds singing in the latter part of February and March when easy to find (far more discreet in summer). Like the preceding species discreet during the breeding season with few sightings between May and mid-August. 1 juvenile noted on 25th July [DT]. Daily totals bolstered (rather less so than in 2009) in early spring and autumn by migrants (eg; 7+ on 18th March and 9th September). A good year with 2 birds present on site in spring. Breeding very possible but not confirmed. 1 heard singing along the Route des Sentiers on 12th April [DT]. 1-2 individuals then either heard or seen almost daily in this area up to and including the 8th June. Presumably the same individuals were heard (calls only) and/or seen between 20th-25th July [DT]. In autumn seen and/or heard calling near the Mare Perchée (as in previous years) on three dates : 1, 20th August - 2, 24th August - 2, 3rd September. Rather irregular and uncommon migrant. Absent during the summer (although breeding in the immediate vicinity of the park). 1-3 birds noted on 6 dates in spring and on 5 dates in autumn. 1, 12th September [DT] - 1, 9th October [PR] - 3, 15th October [PR] - 1, 23rd-24th October [DT]. Rather uncommon migrant. Observed on 2 dates in spring and on 7 dates in autumn. A particularly late and very interesting-looking individual was present on site from 30th October - 7th November [DT]. The bird was pale and pallid-looking with a striking wing panel, characteristics associated with the eastern sub-species samamisicus. Very uncommon passage migrant. Noted on 2 dates in autumn. Interestingly both observations involved tired-looking migrants dropping onto the rooftops of buildings outside the park boundary. Uncommon passage migrant. Just two records in autumn. 1, 21st August [DT] - 1, 5th September [LS]. Uncommon passage migrant. A slight improvement on last year with 2 individuals noted in early spring. 1, 20th March [DT] - 1, 22nd ? 23rd March [PR]. A good year: 1-3 birds noted on 9 dates in spring and on 2 dates in autumn. 3, 6th October [DT] - 1, 20th October [PR]. Common resident - small numbers (usually 1-5 birds) seen daily. Higher daily totals noted in late autumn and winter (ex: 34, 28th December [PR]). Observed more frequently than in preceding years. Small numbers noted on 10 dates at the start of the year (13th Jan-22nd March) with a notable flock of 25 on site on 14th February. First reported in autumn (3 birds) on 21st October [PR]. Small numbers noted occasionally at the end of the year. An impressive 41 birds were noted on 27th December [PR]. Common breeding resident with 1-5 birds seen on most days - passage migrants increase the numbers observed in spring and autumn. In spring up to 83 birds (24th March [PR]) noted on site and/or in migratory flight north/northeast (March and early April). Numbers bolstered by migrants in autumn (mid-September - late October), with a maximum of 58 birds noted flying south on 9th October [DT]. Reasonably common winter visitor and passage migrant. Around 10-25 birds noted on site at the start and end of the year. Active migration in spring noted in the last 2 weeks of March (ex: 33, 17th March ; 52, 24th March). Unusually a singleton observed in April (on 3 dates : 15th, 20th & 30th April [DT]). First observed in autumn on 8th October [DT]. Small numbers noted migrating on 9 dates between 8th October-2nd November. Estimated 1-2 breeding pairs either in or very close to the park. Very discreet in late spring and summer (almost absent between early April - mid-September). Visible migration observed in autumn from 22nd September - 21st October - quite sizeable flocks noted flying overhead in early October (11, 8th October ; 15, 9th October [DT]). Rare migrant. A very good year with 2 singing individuals on site in spring. 1, 28th & 29th March [LS/DT] - 1, 19th May [DT]. Summer visitor, seen or heard daily throughout the late spring and summer. One pair bred successfully at the Mare Perchée. First recorded in spring on 22nd April [DT]. 2-3 birds observed regularly at the Mare Perchée at the end of August and beginning of September. Last observation (2 birds) on 18th September (much earlier than in previous years). For a rare passage migrant this was a particularly good year - a singing bird was present for 3 days in spring, and singles were noted on 3 dates in autumn. 1, 22nd - 24th April [SC/PR/DT]. 1, 6th August [DT] - 1, 9th August [PR] - 1, 28th August [DT]. A better year than 2009 - 3 breeding pairs estimated. First recorded in spring on 20th April [DT]. A bonded pair noted in the Savanna on 27th April. Observed carrying nest material on 18th May [DT]. Last reported in autumn on 28th August [DT]. Common summer visitor and passage migrant - seen or heard daily between mid-March and the end of October. Unlike in previous years, no observations in winter (January and December). First noted in spring (a male) on 16th March [DT]. Up to 15 birds seen or heard thereafter throughout the spring and summer. Juveniles first noted on 6th June [DT]. Typically increased numbers in autumn with up to 30 birds seen daily on site in mid-September [PR]. Last reported in autumn (a singleton in the Parc Mabille) on 17th November [PR]. Uncommon summer visitor. Breeding possible but not confirmed. First observed on 10th April [DT]. Not seen subsequently until 17th April (2 birds) [DT]. Heard singing regularly from the end of April - early July. Not seen or heard between 25th July - 25th August. Observed for the last time on 26th August [DT]. A fairly common summer visitor, seen or heard daily. An improvement on last year with 5 breeding pairs estimated. First reported in spring on 8th April [DT]. Juveniles noted for the first time on 6th June. Last noted in autumn (2 birds) on 18th September [DT]. Another rather poor year - perhaps declining with just one breeding pair estimated. First reported in spring on 23rd April [PM]. Settled on site by the third week in May. Observed later in autumn than in previous years, probably because of a late-breeding pair (2-4 birds observed daily near the Compost at the end of August/early September). Last reported in autumn on 18th September [DT]. A non-breeding species noted in spring and autumn. First recorded in spring on 27th March [DT]. 1-2 birds observed irregularly (8 dates) thereafter up until 20th April. A singing migrant noted on 27th April [DT]. Notable small fall of migrants on 12th May with 4 birds at the Coffee Dome [DT]. Apparently absent in June. 1-4 birds noted on 9 dates during July-September. Last reported in autumn on 25th September [DT]. 1 seen and heard in the Savanna on 2nd May [PR]. Common summer visitor, seen daily. At least 5 breeding pairs estimated. First reported on 3rd March [DT], and first heard singing on 13th March. Up to 8 birds seen daily thereafter throughout the summer. An adult feeding 4 juveniles on 9th August [DT]. Increased numbers during autumn with the arrival of migrants (ex: 15+ on 28th August). Fewer during October (up to 4 birds daily). Noted for the last time on 12th November [PR]. Rather uncommon resident - breeding unconfirmed. Almost absent for most of the year (observed on just 4 dates from January-September). Notable fall on October 17th (at least 5 birds) and small numbers noted daily thereafter until the end of the year. Rather uncommon resident. Breeding possible but not confirmed. 1-3 birds present at the beginning of the year (ex; 3, 23rd January [DT]). A singing male noted daily between 11th ? 27th March [DT]. 2 birds seen on 7th April [DT] but not observed subsequently until 21st August (a singing male). 1-2 birds observed at the end of September/early October (heard singing on 5th October). Unusually absent at the end of the year (17th October-31st December). Rather uncommon passage migrant in spring and autumn. Observed on 8 dates (4 in spring and 4 in autumn). 2, 19th-20th August [DT] - 3, 21st August [DT] - 1, 11th September [DT]. Passage migrant recorded on 12 dates (2 in spring and 10 in autumn). 1, 21st April [DT] - 1, 22nd May [PR]. 1, 17th- 20th August [DT] - 2, 21st August [DT] - 1, 22nd August [PR] - 2, 28th August [DT] - 2, 8th-10th September [DT] - 1, 11th September [DT]. Common breeding resident - usually 1-6 birds seen daily. Scarce winter visitor and passage migrant - small numbers observed on 6 dates towards the end of the year. The birds noted on 12th September and 31st October appeared to be in active migration, flying purposefully southwards and perching briefly in bushes en route. Very uncommon. 2 records (1 in winter and 1 in autumn). 1, 7th January [PR] - 1, 21st August [DT]. Uncommon resident. A poor year with just 2 records. 1, 29th July [DT] - 1, 11th September [DT]. Fairly common resident - 1 or 2 breeding pairs. Up to 12 birds seen fairly regularly in winter. Last year's breeding pair was again present (one of the birds having a silver ring on the left leg). Juveniles noted for the first time on 17th May [DT]. 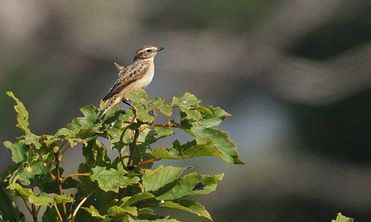 True to form, a caudatus was either absent or very discreet in late spring and summer, with almost no reports from late May to the end of July. Inexplicably scarce and/or discreet at Beaumonts - just 5 records. 1, 3rd March [PR] - 1, 8th April [DT] - 1, 21st December [PR] - 1, 28th December [PR] - 1, 31st December [PR]. Reasonably common resident - small numbers (1-3 birds) either seen or heard irregularly throughout the year. More discreet in spring and early summer (March-mid-July). Common breeding resident - usually 5-20 birds seen daily. Fairly common breeding resident - usually 1-3 birds seen daily. Uncommon. Recorded on 4 dates in spring. No flocks reported (for the second consecutive year). 2, 27th February [DT] - 1, 22nd April [PR] - 2, 25th April [DT] - 1, 17th May [DT]. A rather uncommon migrant. Records typically involve small, loose groups of less than 10 birds flying purposefully overhead. Observed on 15 dates (7 in spring and 8 in autumn). Noted in spring between 27th February - 4th May with a maximum of 7 on 27th February [DT]. Observed in autumn between 10th September - 7th November with a maximum of 10 on 22nd October [PR]. Common breeding resident. Up to 15 birds seen daily although occasionally higher numbers noted (ex; 35, 18th September [DT]). Common breeding resident, small numbers seen daily. The presence of juveniles at the end of summer and migrants in late autumn increases numbers significantly, although there were fewer birds on site from mid-August to early September in comparison with 2009. First sizeable autumn flock (75) noted on site on 11th September [DT], numbers then increasing to around 220 birds during the third week of September. Up to 230 birds noted in active migration on several dates in autumn between 30th September - 20th November. An interesting year with 3 observations of a female (perhaps the same individual) during the summer, followed by another in autumn. 1, 7th June [DT] - 1, 13th July [PR] - 1, 29th July [DT]. A new species for the park: 1 observed at the Mare Perchée on two dates in late autumn. A new species for the park: 2 different individuals noted in spring and summer. 1 (male), 10th April [AB] - 1 (female), 14th July [DT]. Fairly common resident breeding near the park - usually 1-4 birds seen almost daily. Now very uncommon at Beaumonts - no doubt declining in the region. 1-2 birds noted on several dates in winter on the edge of the recycling plant (in the same area as in previous years). 1, 30th November [PR] - 1, 3rd December [PR] - 2, 9th December [PR] - 2, 17th December [PR] - 1, 24th December [PR] - 1, 26th December [PR] - 1, 28th December [PR]. Fairly common in winter with small numbers seen daily. Discreet and rarely reported during the summer (almost no sightings from early April to mid-September). Common passage migrant in early spring with small numbers noted flying northeast from 12th March - 5th April, with a daily maximum of 46 on 21st March. Much higher numbers flying west or southwest on return passage between 11th September - 20th November, with a daily maximum count of 401 on 6th October [PR/DT]. Regular but rather uncommon passage migrant. Unlike last year, not reported in spring. Small numbers noted in autumn and winter. Not recorded during the first 9 months of the year. Observed for the first time in autumn on 6th October [DT]. Thereafter noted fairly regularly on passage until 6th November, with a maximum of 22 on 2nd November. 5 birds were on site at the beginning of November, and a singleton was in the Savanna on 10th December [DT]. 1-3 birds noted during the last week of December [PR]. Reasonably common passage migrant noted in spring and autumn, rarely landing on site. First reported in spring on 3rd March [DT]. Noted on 13 further dates up to and including 1st May with a daily maximum of 11 on 5th April [PR/LS/DT]. First observed in autumn on 30th September [PR]. Noted on 6 further dates up to and including 7th November, with a daily maximum of 15 on 2nd November [DT]. Very uncommon winter visitor and migrant. Another poor year in comparison to 2008 - just 2 records in late autumn. 3, 21st October [PR] - 1, 24th October [PH/DT]. Reasonably common resident, breeding in or near the park. Usually 1-3 birds seen almost daily throughout the year. Flock of 10 birds present on site at the end of January/beginning of February. Noted singing at the Mare de Brie on 17th March. Rarely reported in late spring and summer (1st April - 31st July). In autumn occasionally noted on skywatches and perceived to be migrating (up to 6 birds noted on 12 dates between 6th October-1st November). Common resident breeding in or near the park. Usually 1-6 birds noted daily. As in previous years rather discreet in late spring and early summer with relatively few reports between mid-May and the end of July. A relatively large flock (16 birds) was present on 4th December [DT]. A rather poor year with relatively few records (ex: noted on just 3 dates January-September). Visible migration in spring noted only once on 26th March. Up to 23 birds noted on 16 dates in autumn from 6th October - 7th November. A singleton was seen on 27th November [LS] and 3 noted on 27th December [PR]. Fairly common resident with 1-2 breeding pairs estimated in or very near the park - small numbers (usually 1-2 birds) seen regularly from mid-March throughout the year. 2 juveniles noted on 7th June [DT]. Irregular appearance on site in winter: not observed in January or February although a small party of up to 7 birds present in mid-December [DT]. A discreet but reasonably common resident, although in very low numbers. 1-4 birds seen fairly regularly throughout the year, one pair breeding successfully in the park and raising at least 2 young. 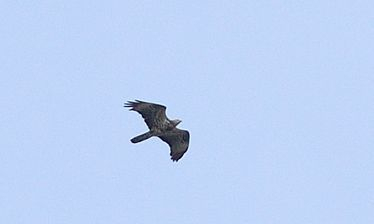 2 juveniles observed with an adult at the Mare de Brie on 17th August [DT]. Unlike in 2009, noted regularly towards the end of the year (November-December). Uncommon winter visitor and passage migrant in spring and autumn. Recorded on 10 dates (2 in spring, 6 in autumn and 2 in winter). 1, 16th March [DT] - 2, 29th April [DT]. 1, 6th October [PR/DT] - 4, 7th October [PR/DT] - 1, 9th October [DT] - 4, 31st October [DT] - 2, 1st November [DT] - 3, 5th November [DT]. 1, 9th December [PR] - 1, 29th December [PR]. 2 flying southeast on 24th October [PH/DT]. Rather uncommon and irregular winter visitor. Recorded fairly often in spring and autumn. 1-5 birds noted occasionally at the start of the year (most records in March). Absent in late spring and summer (not recorded on site between 6th April and 5th October). In autumn 1-3 birds noted (sometimes in active migration) on 15 dates between 6th October - 12th November. Very rare passage migrant. One probable record in early autumn. The bird was in active migration, flying high over the Cascade in the early morning. A sound recording of its calls appears to confirm the identification. Very uncommon passage migrant. A good year - noted on 3 dates in late autumn. 1, 22nd October [PR] - 1, 31st October [DT] - 1, 2nd November [DT]. Sadly now an uncommon, non-breeding species. Reported on 2 dates (1 in spring and 1 in autumn). 1, 10th April [PR/DT] - 1, 12th September [LS].